Lady Vernon and Her Daughter by Jane Rubino and Caitlen Rubino-Bradway is the cleverly developed and expanded story of Lady Susan by Jane Austen. Austen’s posthumously published melodramatic and insufficient novel depicts “the most dangerous coquette in England”, a self-serving and selfish heroine. The title character, Lady Vernon, is redeemed in this well-written and researched adaptation. Jane Austen (1775-1817) probably wrote Lady Susan between 1793-4 during the same period she wrote Elinor and Marianne and First Impressions, her first attempts at what would become Sense and Sensibility and Pride and Prejudice. Lady Susan was written in the epistolary style, or in the form of letters, popular during the 18th century. This faulty mode of expression is problematical as it is unable to establish nuances in characterization and storyline being limited to the letter writer’s particular point of view. This may explain why Jane Austen abandoned the form and never sought publication of the story although she did take the trouble to make a fair copy in 1805. It was published in 1870 by her nephew, James Edward Austen-Leigh along with his memoirs of his aunt. The heroine is one of Austen’s most egotistical, self-serving, and narcissistic; a deliciously established villainess. She blatantly revels in her actions which go against all of society’s observations and rules. She is a young and beautiful widow who prowls for a suitable gentleman to marry her daughter to while simultaneously and heedlessly attracting the attentions of men to herself. Like Catherine, or The Bower this story serves as a link between Austen’s Juvenilia and her later books. Her writing still tends to be exaggerated but begins to display the subtlety and maturity of characterization familiar in her later published books. In the adaptation Lady Vernon and Her Daughter the authors’ abandon the letter-writing format. The story they tell preserves Jane Austen’s original plot but because it is no longer restricted to the epistolary framework they are able to establish the character’s motives and sentiment beyond what is written in letter form. The third person narrative satisfactorily expands the story beyond the affected and limited conventions of Lady Susan and allows for a satisfying unfolding of action devoid of melodrama. Lady Susan, now correctly titled Lady Vernon (as established by the English conventions of given titles), is still a vibrant character. She maintains all her strong-willingness, recklessness, and maliciousness but the justification of her actions in the end absolves her of any truly unethical motives. She is a widow and mother who realizes the importance of prudent marriage for herself and her daughter to avoid penury, a theme cultivated and consistent in Austen’s later novels. 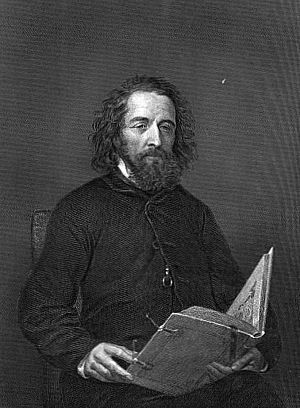 The selfishness and self-serving of the original novel survives simply as misunderstanding, conjecture, and malicious gossip. What Would Jane Have Done? In most of Jane Austen’s published novels her heroines, although beloved, are not the “pictures of perfection” that made Austen “sick and wicked” but rather each has her flaws. In each of the mature novels the young women eventually achieve a self-awareness and overcome their shortcomings. The back drop to these realizations are most commonly formed within a quest for one acceptable object – a suitable marriage. Rubino and Rubino-Bradway rehabilitate Lady Vernon’s seemingly mercenary behavior by emphasizing her comprehension of the realities of her world. They endow her with the understanding that advantageous marriages for her and her daughter will save them from a life of poverty and humiliation. This does not mean that the character believes in an attachment devoid of affection. In true Jane Austen fashion Lady Vernon pursues marriages but only if accompanied by similar sentiment and love. This adaptation is well researched and written and reads as Jane Austen herself may have envisioned and re-worked the story had she lived longer. 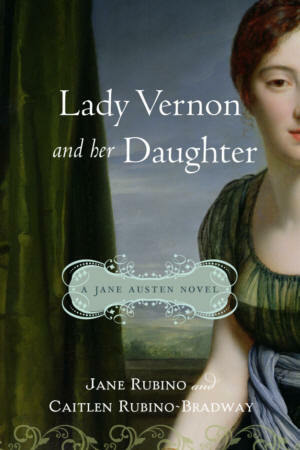 We’ll never know what Jane Austen had intended for her heroine but adherents to her novels will enjoy the efforts and understanding offered by the authors of Lady Vernon and Her Daughter.